Central Ohio golfers never tire debating the relative merits of the many great courses in the area. Jack Nicklaus's Muirfield, University Scarlet, Double Eagle, The Golf Club, Brookside, Columbus, The Lakes, Champions, and naturally the iconic Scioto, have their devotees. But players who had the good fortune to strike their brassies over the long -vanished Elks- Wyandot Country Club course could argue with some justification that this beloved Donald Ross beauty was the finest of all. From its ballyhooed opening in 1923 until its sad and final closing after the 1952 golf season, the course (and the country clubs associated with it- Elks and Wyandot) faced daunting challenges. 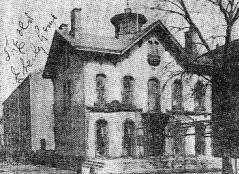 While the course overcame the hardships of the Great Depression, a disastrous fire that burned the clubhouse to the ground, and World War II, it ultimately could not survive a political struggle with the State of Ohio despite the best efforts of Mayor of Columbus Jim Rhodes (later four-time Governor of Ohio) to save it. My interest in the history of Elks'-Wyandot came about when I noticed errors in the Donald Ross Society's (I am a member) list of his designs. First, it indicated that "Elks Country Club," built in 1923 in Worthington, Ohio (a Columbus suburb) was still in existence. I knew that there was no course by that name currently in existence. Second, the list identified "Wyandot Golf Course" in Centerburg (a much further away suburb) as a Ross course constructed in 1922 and closed in 1952. To the contrary, Ross could not have served as architect for this little country course since it opened after I moved to Columbus in the 70's- decades after Ross's death. Furthermore, that course is still in operation. So this misinformation piqued my curiosity, and I embarked on what can best be described as a "research adventure." In short order, I confirmed some basic facts. 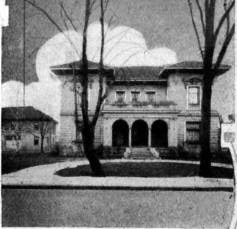 The "Benevolent and Protective Order of Elks, Columbus Lodge No, 37" ("BPOE or "the Elks") acquired 265 acres of property bordering on Morse Road and Indianola Avenue in the Clintonville area of Columbus in 1921, The Elks retained famed architect Donald Ross to design a golf course on the property. It was opened for play in 1923. 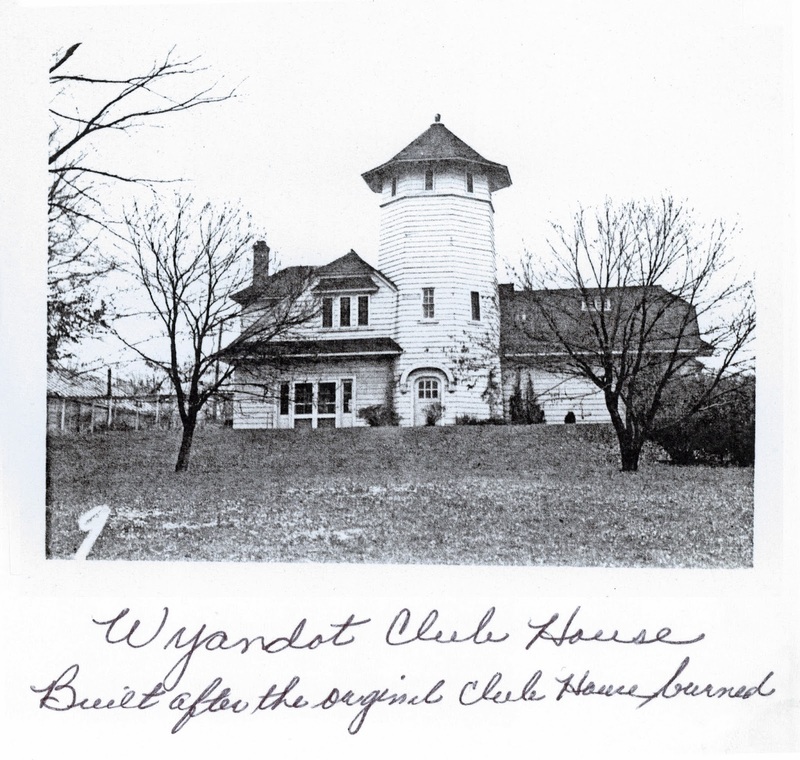 "The Elks' Country Club" owned and operated the facilities until 1931 when the course name changed to "Wyandot Country Club." The course closed for good in 1952. 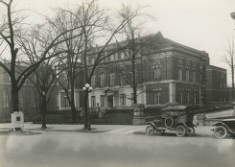 The facilities of the State of Ohio School for the Deaf now occupy the area where the Elks'- Wyandot clubhouses once stood. The School for the Deaf is accessible from Morse Road over roughly the same driveway that was used to access the clubhouses many years ago. The State of Ohio's School for the Blind occupies the northwest portion of the property across a deep and forested ravine that effectively separates its campus from that of its sister school . The School for the Blind is accessible from High Street, which is Columbus's principal north-south artery. But I wanted to know more! Like, what led The Elks decision to acquire this large property and build a golf course? Was Donald Ross on-site during construction (often he did not see courses he designed) ? Could I obtain any information about the course lay-out or details about Ross's bunkering? Why did the club name change to Wyandot ? Did The Elks give it up, and if so- why? How good was the golf course? Did players of distinction in local circles play their golf there? Is anyone alive who can remember the course, let alone have played it? What were the circumstances that led to its ultimate closing and acquisition by the state? I was able to answer these questions. I pieced together the history of the course by spending many hours buried in the microfilm archives of Columbus newspapers. I walked the property and found remnants of the old course. Internet searches unearthed many informative tidbits concerning the club's founders, members, and staff that helped flesh out the story. I acquired a program for a big PGA tour event played at Wyandot in 1948- The Columbus Invitational. A visit to the county courthouse uncovered a 1938 aerial photo of the course which revealed much about Ross's routing as well as many of Ross's architectural details. Most gratifying of all was my opportunity to reminisce with folks who were of a certain age that they could recall the old course, and relate anecdotes about the people associated with it. One visit in particular resulted in discovery of a treasure trove of photographs and other artifacts. Now, let me tell you the story of Elks'- Wyandot. To merely label John W. Kaufman an entrepreneur would do him an injustice. He was much more. From approximately 1900 until his death in 1933, he was a colossus of Columbus's burgeoning business community. Mr. Kaufman was responsible for founding or acquiring an array of quarrying and manufacturing operations that under his leadership mushroomed into major league enterprises. He embodied the rags to riches "Horatio Alger" success story that inspired youths of the era. His career began juggling two low-level jobs. During the day, he clerked for the Reinhard Bank in downtown Columbus. He moonlighted as an assistant bookkeeper for the Godman Shoe Company. He impressed the latter employer well enough that he was steadily promoted through the ranks until he became the firm's part-owner and secretary. After reaching age 40 in 1906, Mr. Kaufman upped his entrepreneurial activities. 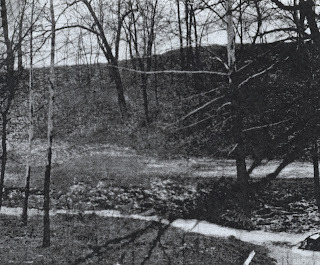 Anticipating that the city was about to embark on a growth spurt that would necessitate an increased need for building materials, he along with several of his siblings, purchased the Woodruff and Pausch Company, an operation mining limestone adjacent to the Scioto River on Columbus's northwest side. The investment went well, and in short order, the Kaufman interests also swallowed up the Casparis Stone Company. The resulting merged company became known as the "Marble Cliff Quarry Co." - a vast operation covering over 2,000 acres. And Mr. Kaufman proved to be spot-on in his assessment that Columbus would need his product. Limestone mined from the quarry was used in the construction of Ohio Stadium, the 47 story American Insurance Union Citadel (now the LeVeque Tower), the city airport, and area freeways. In time, the Kaufmans, with John leading the family's efforts, acquired many other mines and quarrying operations in the United States and Canada. Most would have been content with such success. But not John Kaufman! On behalf of the family, he launched investments in the Claycraft Mining and Brick Company in Columbus and the Ohio Steel Foundry in Lima. He started Columbus Coated Fabrics, which became the industry leader in manufacture of vinyl-coated cloth products. Given Mr. Kaufman's far-flung business interests, it would have understandable if he had failed to pay much attention to civic endeavors. But, as the saying goes, "If you want a job done, give it to a busy person!" and John Kaufman was always there to lend a hand. 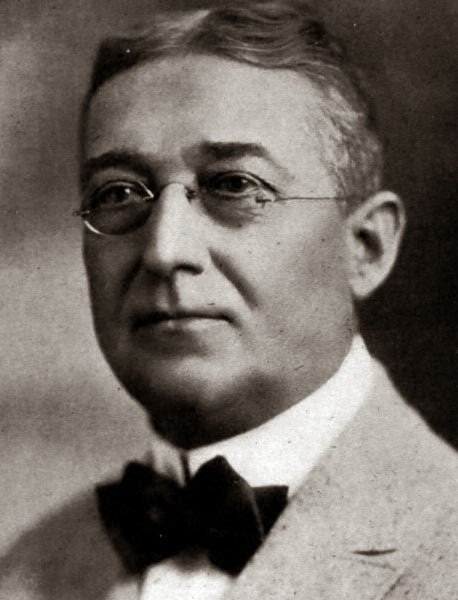 He raised enormous funds for the World War I "war chest drive." He supported "Charity Newsies," a local charity still providing clothing to underprivileged children. With his wife Elizabeth and three children, he found time to be a social joiner too. His memberships at Scioto and Columbus Country Clubs as well as The Columbus Club and Athletic Club of Columbus demonstrated he met the definition of a "hale fellow well met." But aside from work and family, John Kaufman's chief passion was the BPOE- the Elks. While membership has dwindled in recent decades, the Elks' lodges in John Kaufman's time served as many communities' social organization of choice. It should be remembered that this was the nascent stage of private country clubs in America, and they were not yet a competitive threat to fraternal organizations such as the Elks. So the BPOE thrived. It counted among its members Presidents Harding, FDR, Truman, and later JFK, and Ford. Military heroes were drawn to the BPOE. Generals Pershing, Patton, MacArthur, and Columbus's own WW I flying ace Captain Eddie Rickenbacker joined. So did Bobby Jones, Gene Autry, Buffalo Bill Cody, Will Rogers, and Bill "Bojangles" Robinson. The Elks could not have had a more devoted member and booster than John Kaufman. His talent for recruitment of new members received mention in the 1913 edition of the trade publication "American Clay Magazine," where it was noted, "If John Kaufman is as good a clay booster as he is an Elks booster, the sales ledger of the Claycraft Mining and Brick Company of Columbus, Ohio will show an increase each season. Recently Mr. Kaufman interested his relatives in the Elks lodge, and eight of them joined at one time. Mr. Kaufman is president of the brick company." When BPOE decided to move its lodge from Main Street, Mr. Kaufman headed up the building committee charged with finding new quarters. The new imposing Frank Packard- designed lodge at 256 E. Broad St. was dedicated in 1915. John Kaufman was rewarded for his unstinting efforts on behalf of Columbus Elks Lodge No. 37 by elevation to its leader (in Elks' parlance the "Grand Exulted Ruler") in 1918. Elks Lodge No. 37, 60 E. Mound St.
Aside from the fact that America was involved in a war, it is hard to imagine that 52 year old John Kaufman's life could have been much better in 1918. 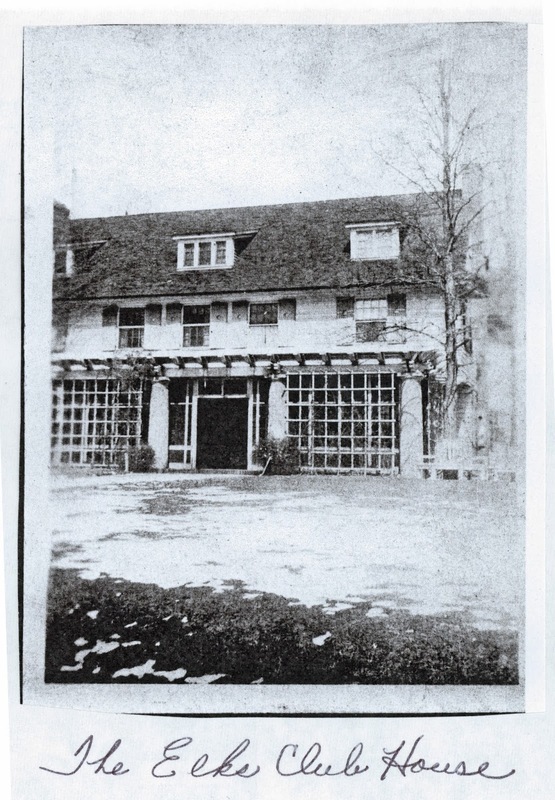 He resided in a beautiful mansion with his family at the then posh address of 1151 Bryden Road. Offices for his far flung businesses were minutes away from home. Wartime needs necessitated high demand for the products of several of his enterprises. He had achieved the leadership of his beloved Elks, and Lodge number 37 was less than a 5 minute drive. He had successfully engineered a business empire that helped support his many siblings and their families (John was one of ten children), and 28 year old son Harold was really coming along in assisting with the management of Marble Cliff's operations. . But John Kaufman was not satisfied with the status quo. With the arrival of Columbus and Scioto and Aladdin Country Clubs on the local scene , he realized that golf was the rising sport, and country clubs were going to be needed to meet the demand. No doubt he thought, "why shouldn't my Elks have their own country club?" Undoubtedly, Mr. Kaufman was also influenced by rumors that Columbus's York Masonic Lodge was giving thought to building a course for its members, and the Shriners had plans to expand their 9 hole Aladdin Country Club course to 18 holes in nearby Upper Arlington. 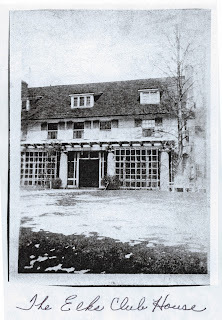 Whatever the converging motivating factors that led to this new dream of Kaufman's, he must have known immediately he had found the perfect land for a country club the first time he laid eyes on the 100 acre estate built by wholesale grocer Charles Higgins in the present-day Clintonville area of Columbus. This now highly developed area still qualified as rural when Kaufman first got wind of it - probably in 1920. As was described in the Ohio State Journal, 75 acres of the Higgins' property, "are level and beautified by every device of the modern landscape gardener. The other 25 acres are hilly and heavily wooded. The principal building on the property is an 18 room house [then only 11 years old] with six bathrooms. There are also a seven-room house for the caretaker, barns for horses, cattle, and farm machinery, power house and a large greenhouse." Moreover, Mr. Kaufman discovered that the Higgins' estate rested in the hands of bankers who had formed a creditors' committee for Mr. Higgins, so it seemed that the property could probably be acquired for a reasonable price..
and the grounds similarly boasted impeccable landscaping as well as a beautiful home that could seamlessly transition into use as a clubhouse. Jones knew immediately that the Fruitlands Nursery would make a perfect golf course. That abandoned nursery became Augusta National Golf Club. The only problem with the Higgins property was that it was not large enough for an 18 hole golf course. Nine- maybe, no more! 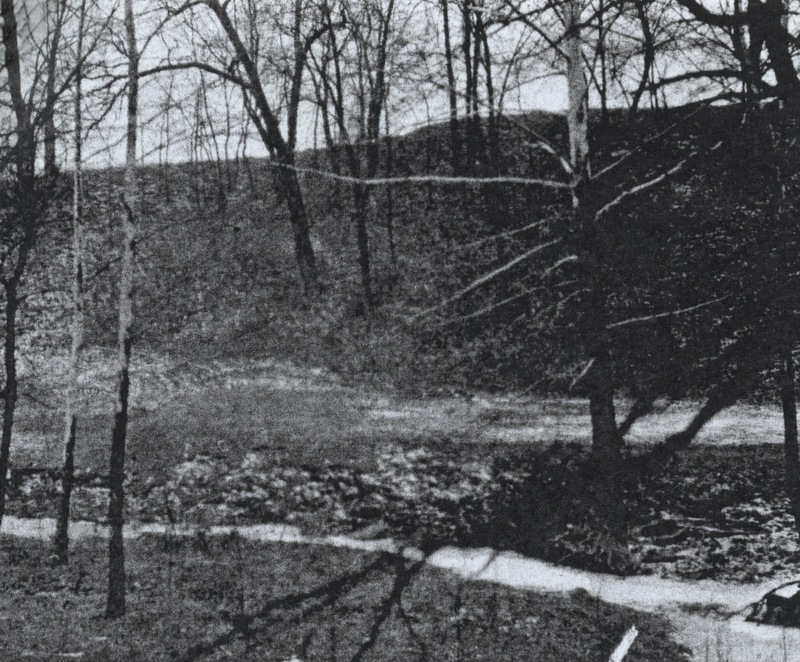 But Kaufman learned there were three adjoining undeveloped properties across the wide wooded ravine totaling another 165 acres which, if added to the Higgins land, would be more than enough property to build a course that the Elks would be proud of. Just stumbled upon this blog last night. I grew up On East Kanawha, the street directly to the north of the Blind school. My parents bought the house in 1946/47 and we lived there until 1965. When the state took the land for the school my father went and "harvested" some of the good grass for our front lawn! He had bought the house because of the course and hated seeing it go. Don: that is a great anecdote. Give me your e-mail address and I will send you future installments. Hi Lisa, I came across your blog on "The Long Goodbye", and I really like it... well written and researched. I'm a Professor here at OSU and was wondering if I could use your Chapter 7 in my class. Obviously you get full credit and it is linked to your blog. The second thing if you enjoy talking about the long good bye, I would enjoy having you lecture in my class sometime. Unfortunately, I don't know your email, but if you read this comment you can email me at danneberger.1@osu.edu.. Great Job! I look forward to the next chapter. Thank~you. Curious if you found anything on the WAIU radio towers on the property? I have a 1938 aerial picture but can't see if the towers or remnants are there. Chapter 5 shows the tower in a cartoon drawing made in 1927.